May is a Pokémon coordinator from Petalburg City and is the daughter of the Petalburg City Gym Leader, Norman, and sister of Max. She meets Ash Ketchum in Hoenn and starts traveling with him after obtaining her firstPokémon, Torchic. She has rivalries from some contest participants, Drew, Harley, and Jessieof Team Rocket, and goes on to win many contests. She is in 4 Pokemonmovies. She picked Torchic as her first pokemon and Squirtle as her firstKanto pokemon. May is generally a very sweet, fun-loving, caring, kind-hearted, and a brave person. But sometimes a real go-getter type of confident person. When it comes to certain things, she can be a glass half-full type of a straight woman that she is, even though she is a very nice person. But she can have a tougher side sometimes, such as when she argues with her brother, Max. Despite that they argue once in a while, she has definitely shown that she really deeply cares for her brother and at times she helps people especially ones with romance problems and sometimes May has a tendency to rely on luck once in a while when it comes to certain things. She really loves cute pokemon and flashy techniques, and competing in contests. She really loves making her own Pokéblock with recipes that she thinks up, including ones she calls "May's Purple Surprise" and "May's Pink Surprise" while everyone else rejected them after tasting them, the only ones who liked her Purple Surprise are her Munchlax and Jessie. When May saw a contest battle for the first time, she decided to become a coordinator. She then had to overcome her fear of bug type Pokémon by raising her Wurmple into a Beautifly. While Ash and Brock chose to travel to Sinnoh, May decides to follow her rivals to Johto. However, she meets up with Ash, Brock, and Dawn in Sinnoh, wearing a green bandanna like the character Pokémon Emerald, then sometime later participates in the Wallace Cup. Dawn once referred to her as "Princess" which makes the fact that she has an unknown identification believable. After narrowly losing to Dawn in the Wallace Cup Finals, she leaves the group to continue her journey in Johto. May has a unique taste for food. She loves to taste many different types of food. As a Coordinator, May was able to learn more about Pokemon, and her knowledge became greater during her journey in both Hoenn and Kanto for her contests that she competes in, that she can come up with different types of attacks. She was also able use these combination's in battle. For example she would use her Combusken's Fire Spin and her Squirtle's Bubble to create a combination of Fire and Water. Which was dubbed by Lillian's Medichan as a Fire and Water Whirlwind. She was able to knockout Drew's Flygon and his Absol. During her journey she won numerous ribbons in both Hoenn and Kanto and she is still using those skills and talents in Johto currently. But May did reappear during the Sinnoh saga in four episodes Meeting Ash, Pikachu, Brock, Dawn and Zoey for theWallace Cup. May also has a personal ending theme song called I Won't Lose also called Haruka's theme in Japan in two episodes of the Pokemon anime's Kanto battle frontier saga the theme was used as background music in Curbing the Crimson Tide! and again in the next episode What I Did For Love!. It was also used during the Sinnoh Wallace Cup saga. 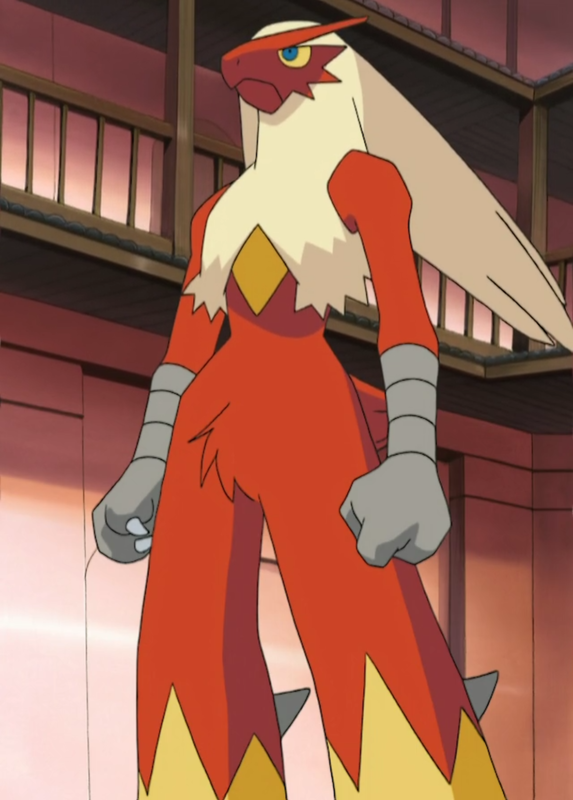 Blaziken was given to May by Professor Birch in Littleroot Town when it was still a Torchic. She chose it as her starter Pokémon because she thought Treecko was creepy and scary (though she later called them cute in Trees a Crowd), while the starter Mudkip had attacked her earlier with a Water Gun to the face. As a Torchic, it evolved in the episode A Shroomish Skirmish, when trying to fend off some Shroomish and Breloom. It later evolved in the midst of a Pokeon battle with Team Rocket. 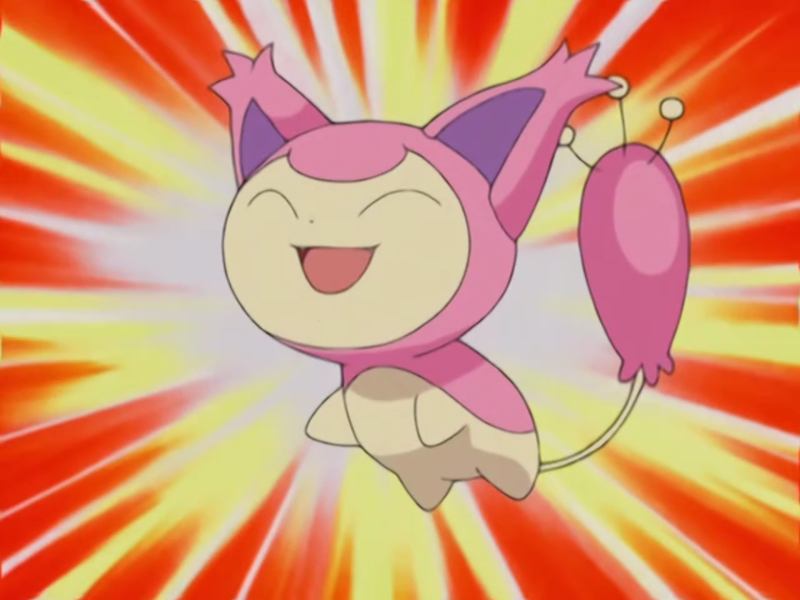 Skitty was caught in the Episode "I Feel Skitty" when Torchic ran away from a training session with May and found a sick Skitty. She knows powerful moves like Blizzard, DoubleSlap and Assist. 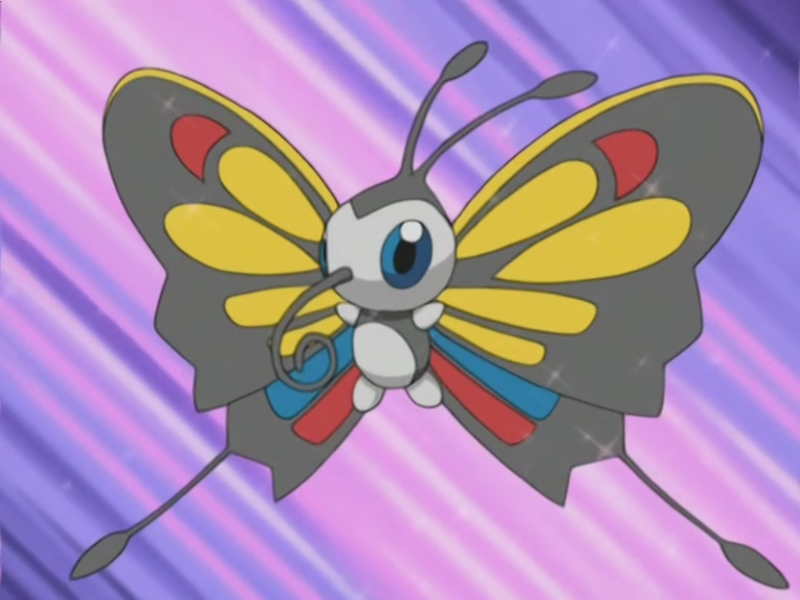 May watched a Pokemon Contest and she saw a Beautifly and she wanted one. When May caught a Wurmple, Jessie from Team Rocket had one and were switched but were returned to their rightful trainers. Beautifly knows Gust, Aerial Ace, Morning Sun, Sliver Wind, and Psychic. 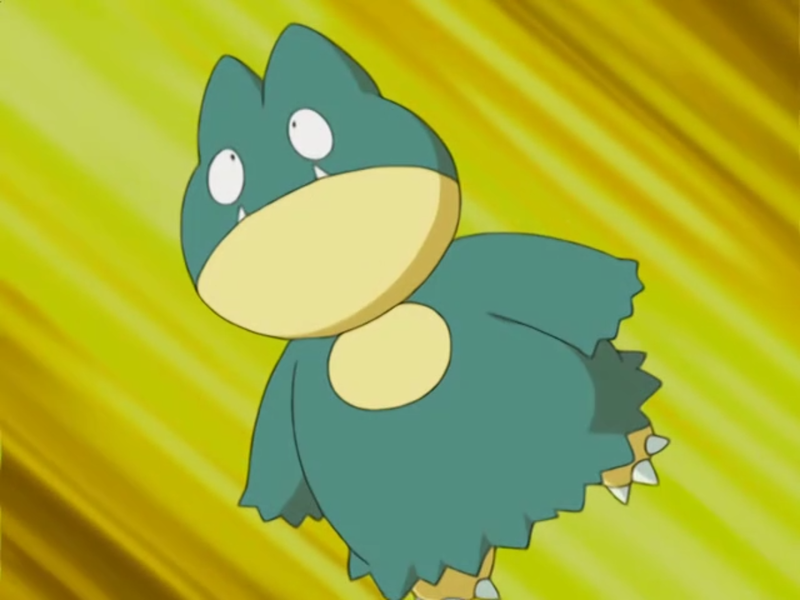 Munchlax was caught in the episode "Berry, Berry Interesting". It could use powerful moves like Solarbeam, Focus Punch and Metronome. May recieved Glaceon as an Egg and watched every contest that May entered. It was the third Normal-type Pokemon that May obtained. It knows Shadow Ball, Ice Shard, Secret Power and Mirror Coat. After May left Skitty and Beautifly in Hoenn, she met Ash in Pallet Town and one of Oak's Squirtles seemed to take a liking to her. Professor Oak allowed May to have the Squirtle and traveled in her Pokeball. He learns powerful moves like Ice Beam, Aqua Tail and Rapid Spin. May was kidnapped by a Skarmory and ended getting lost in a place called the Forbidden Forest, which is a preserve for Grass-type Pokemon. Then May met a clumsy Bulbasaur trying to pick flowers. It eventually evolved in a Ivysaur and much later it evolved into a Venusaur. She knows moves like Petal Dance, Razor Leaf and Vine Whip. It was after saving the Manaphy egg in Pokémon Ranger and the Temple of the Sea. This Pokémon thought May was its mother and it did not want to be separated from her so it had to return to the ocean to protect it. Fallarbor Town Ribbon Aiming to win the Medicham de Grace, where she used to Beautifly. Verdanturf Town Ribbon Getting to gain by Timmy's Dusclops, and May used her Skitty against him. Lilycove City Ribbon She used her Combusken in this match for the ribbon. 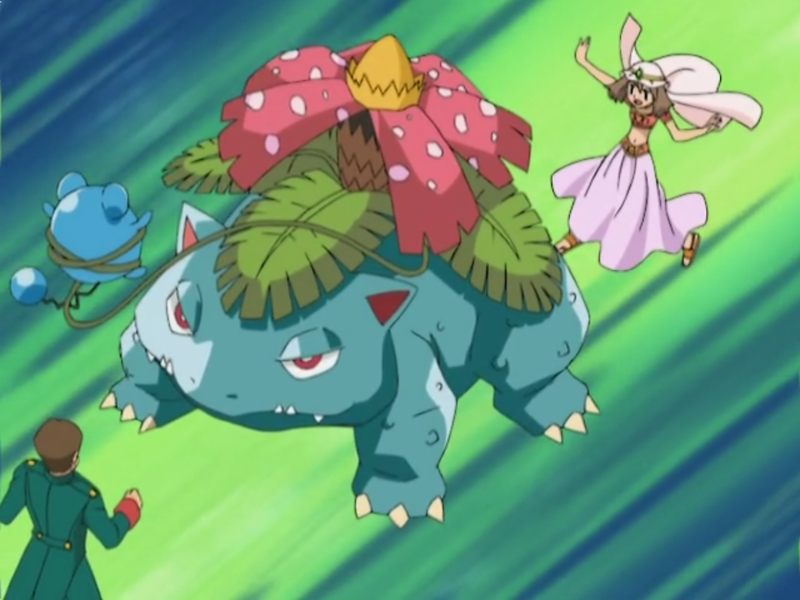 Izabe Island Ribbon Getting to win the Harley's Cacturne, where she used Bulbasaur. Pacifidlog Town Ribbon Getting to gain by a trainer's Jynx, where she used Skitty. 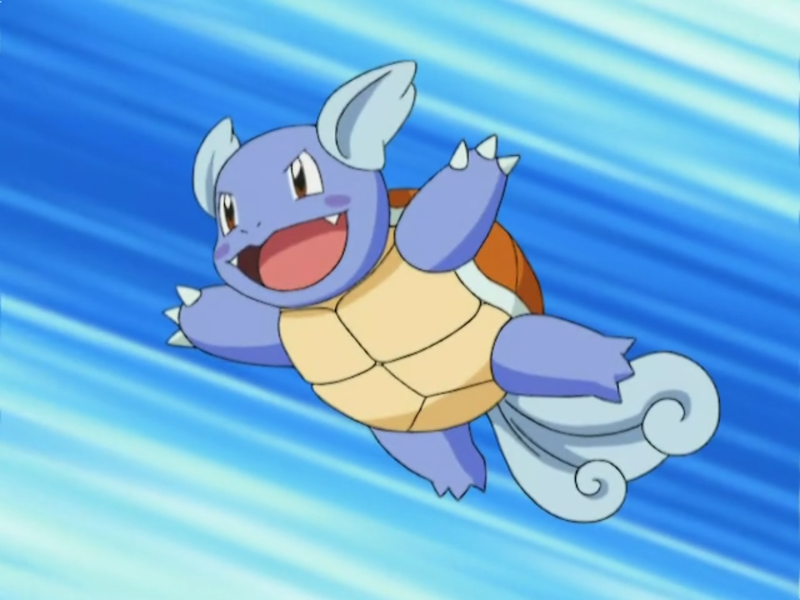 Saffron City Ribbon Aiming to win the Harley's Ariados, where she used Squirtle. Silver Town Ribbon Getting to gain by Jeremy's Venusaur, where she used Combusken. Crysanthemum IslandRibbon Getting to gain by Brianna's Flygon, where she used Combusken. Gardenia Town Ribbon Aiming to win the Marshtomp of Brock, where she used Eevee. Mulberry Town Ribbon Aiming to win by Jessie's Banette (borrowed from Harley), where she usedSquirtle. Teracotta Town Ribbon Getting half by tying with Ash's Sceptile, where she used Blaziken (unofficial). Johto Ribbon 1 It was revealed in DP 76 that May has won three Ribbons in Johto. Johto Ribbon 2 It was revealed in DP 76 that May has won three Ribbons in Johto. Johto Ribbon 3 It was revealed in DP 76 that May has won three Ribbons in Johto. 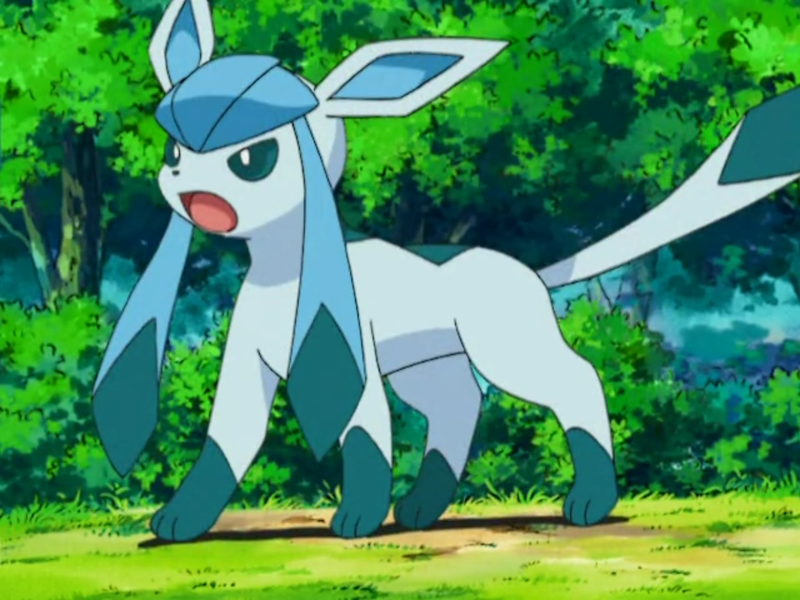 Generally, May appeared in the episode frequently when travelling with Ash in the Hoenn region. However, she briefly appeared in Sinnoh and accompanies Ash, Dawn, and Brock to the Wallace Cup. These are the episodes that May appeared in Sinnoh. May also battled with Dawn but narrowly lost.